DURANGO RD3315 – From the exterior, this 10″ Boldly Flirtatious boot (in the Lady Rebel collection) resembles a traditional-looking Western. It has dark brown full-grain leather on its upper, a dipped topline, pull tabs, fancy stitching on the shaft and a square toe. 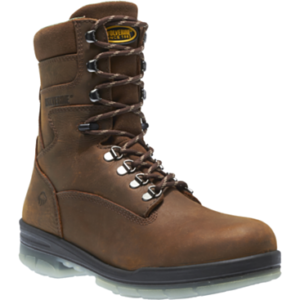 Yet, what distinguishes this Western from the rest is its steel protective toe; it has met the ASTM F2413-05 I/75 C/75 Protective Toe Classification and can withstand up to 75 lbs. of impact and compression, as well as meeting the Electrical Hazard Standard. Whether you wear them to your job or want to keep your toes protected around the barnyard, your feet will be safe in these boots. A soft mesh lining interior surrounds your legs. This lightweight material will protect your legs from getting irritated and will keep the interior nice and airy. There is a cushioned footbed to ease your steps and make walking in these Western boots a comfortable experience. 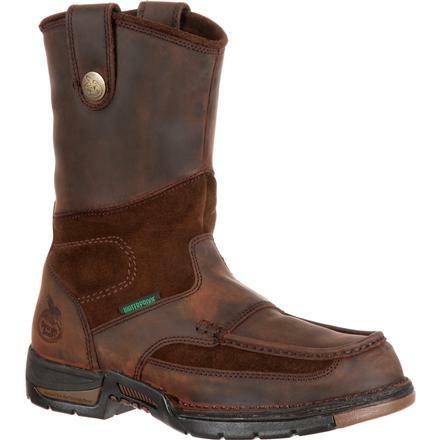 By adding in a tempered steel shank, these brown leather boots offer both stability and support. The outsole is extremely lightweight, resistant to abrasions and offers great flexibility. 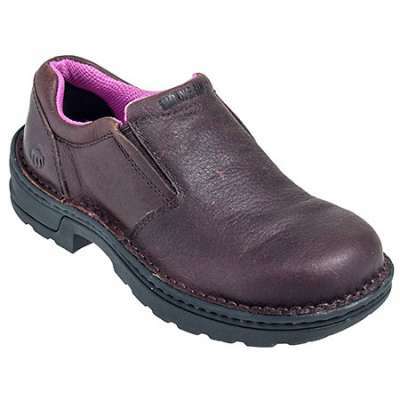 The 1¼” rocker heel is low; you will remain comfortable even if you are working all-day long in these boots. 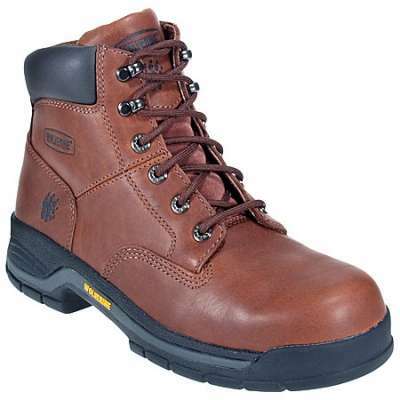 A stylish-looking leather boot that offers comfort and unbeatable safety features. 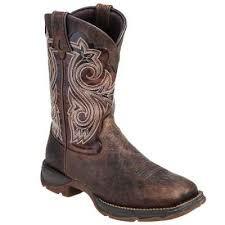 This Lady Rebel by Durango Women’s Steel-Toe Western is a great find!